Tawny Frog-mouth! - Wisdom is the retention of innocence through adversity. 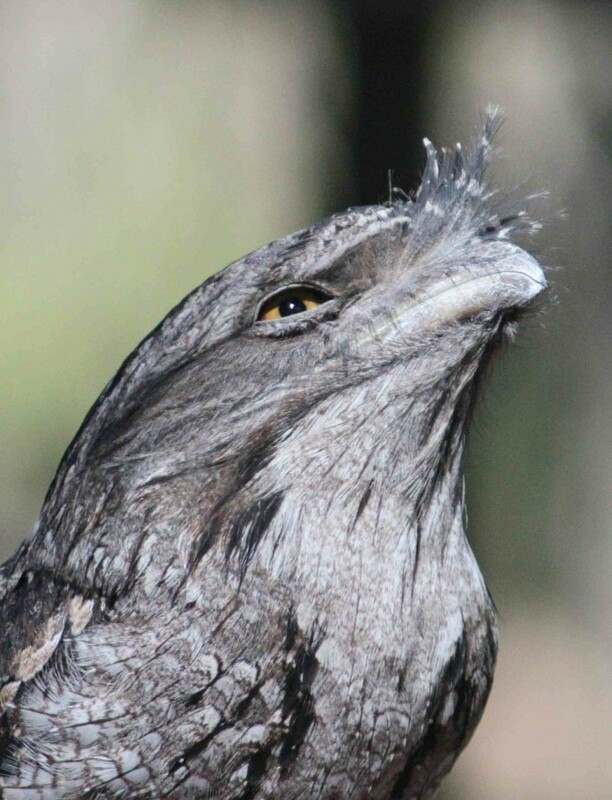 The Tawny Frog-mouth is a bird found almost everywhere in Australia. Living in almost every woodland habitat you can find them. Except for the Nullabor, far western Queensland, the more central regions of Australia; that include the Central Desert of the Northern Territory. They enjoy their forests much more. A lot can be said about these owls; however, they really are a master of camouflage. If you know where to look you stand a good chance of finding them as they are rather common. They often like to sit silent and still, looking like a broken off tree branch. For the most part, they do a very good job too. The only thing that may give them away up close, is the magnificent yellow eye. Be sure to go view his whole journal - it is amazing!